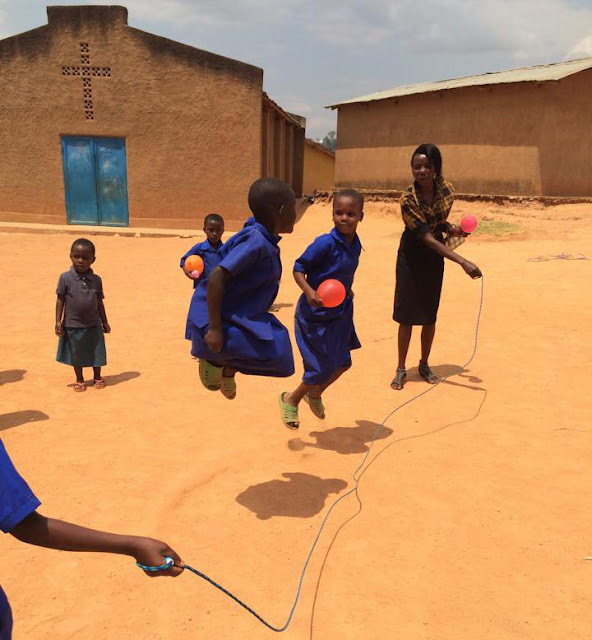 It's not all play at school - kids in Burundi also have to spend time prepping for exams. The only trouble is, they're short on materials. To address this need, Food for the Hungry (FH) joined up with some pretty innovative people from seven local schools, and together, created a way to multiply the existing academic resources in order to better serve all the students. It's called the Public Secretary. The Public Secretary is a small typing and printing unit equipped with a desktop computer, photocopier / printer, and binding accessories. This unit effectively services seven different schools to produce study materials and practice exams at a marginal cost. In addition to equipping schools, the Public Secretary is also available for community members for personal and business purposes. With the money earned from the Public Secretary, the seven schools can also provide for some of their other needs. And when study time is done, these kids can confidently get back to skipping rope. To find out how you can support more entrepreneurial activities like this one, click here!